Great Continental Railway Journeysis now a firmly established series on BBC2, following in the illustrious tracks of its predecessor - Great British Railway Journeys. 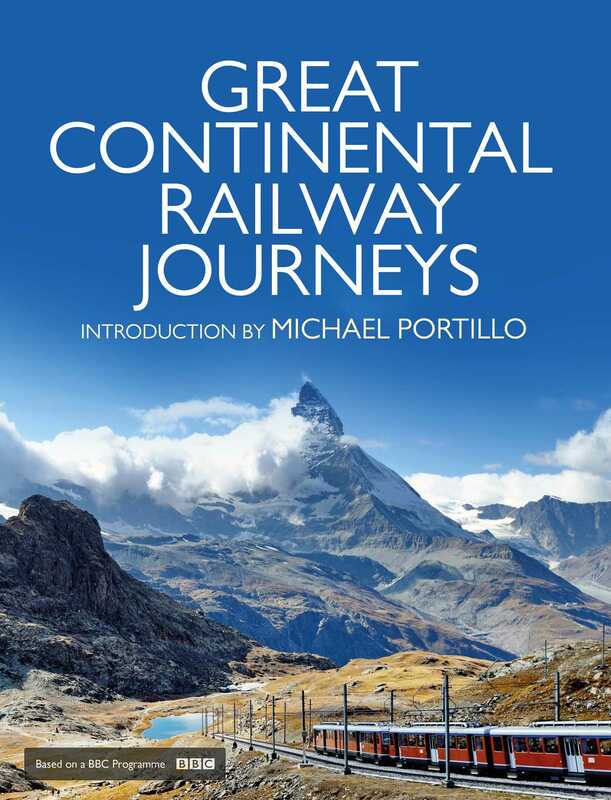 Both series are fronted by ex-politician Michael Portillo and in this European odyssey he travels around continental Europe, using George Bradshaw's1913 Continental Railway Guide. Now coming up for its fourth instalment this autumn, Portillo guides the train-travelling fan across Europe arriving at a myriad of magical and historically fascinating cities we all dream of travelling to by train. From London, to Paris, Bordeaux, Lyon, Copenhagen, Oslo, Lisbon, Madrid, Berlin, Monte Carlo, Prague, Munich, Zurich, Rome, Budapest, St Petersburg; all the way down to Constantinople, Haifa and Jerusalem - Portillo describes the great feats of engineering that built the various railway lines connecting Europe and further afield and the men and women who made these journeys famous through their deeds and words. The new series (6x1-hour) will transmit in early November 2015, and this book will be the official, lavishly illustrated tie-in covering every single journey Portillo has undertaken across Europe. Capturing all the colour, beauty, excitement and fervour of journeying across this historic continent can muster. A must-have purchase for any armchair fan of unique and award-winning travel programming. Michael Portillo was an member of Parliament for nearly twenty years and held three ministerial positions in the cabinet. He now has a regular weekly television show about politics, and has made documentaries on a range of subjects, including Great British Railway Journeys and The Secret State.